These are business cards we’ve created for our clients in the entertainment industry. Here is a set of DJ business cards we created for www.FlipSide-DJ.com. 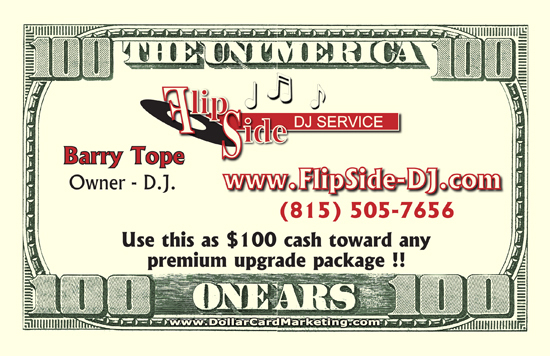 Owner, Barry Tope, is using our dollar bill business cards for a discount toward a premium package of his DJ services.